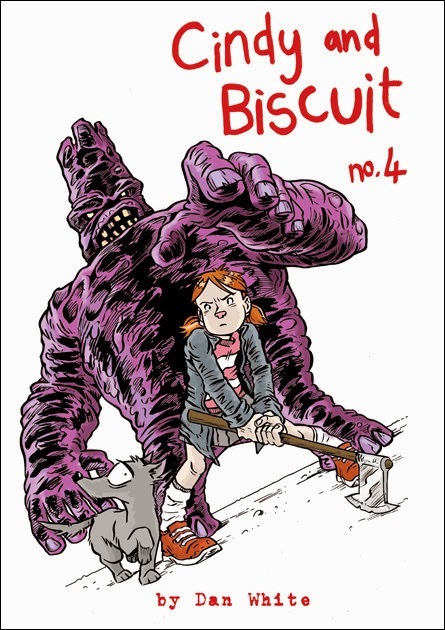 Dan White released the fourth book of superb self-published Cindy and Biscuit series earlier this week. I've already ordered my copy, but if you've never read it before, White has all the previous volumes for sale, and with the stories being self-contained with no over-arching continuing narrative, any one of them is a great place to start. 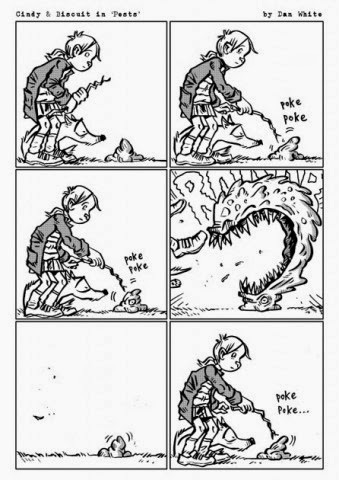 Cindy and Biscuit follows a girl and her rather raggedy dog on a series of adventures; although it is unclear how much of these sojourns are real and to what extent imagined. 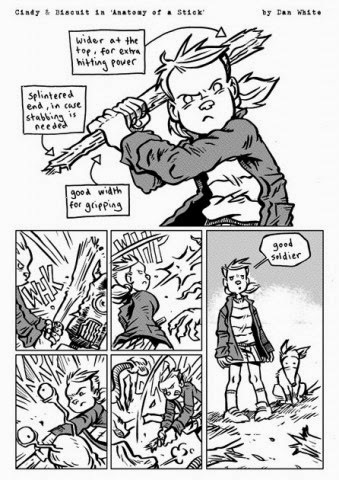 White's characterisation is beautifully on point and the interaction between Cindy, her environment and those around her profoundly realised, but what really takes Cindy and Biscuit to another level are the tiny bits in between, the inferred narrative of neglect, alienation and potential abuse that runs through many of the tales. Cindy's mother is often her sole human interaction, although her face we are never shown, usually cut off at neck point, her body a solid object, her words surrounding and filling the page, while Cindy escapes into her thoughts. It's incredibly emotive and moving and subtly done. But atop that, it still very much read as a 'straight' story, too. I'd really encourage you to check these comics out- they're fantastic, and as you can see from that cover, Dan White's cartooning isn't too shabby either. If you'd like to read some of the comics for free, you can read a bunch of one-pagers here, that will give you a taste for the longer form stuff. 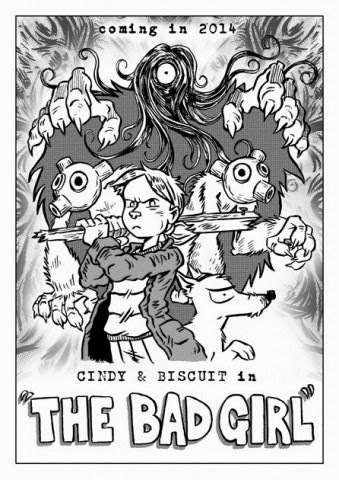 You can buy Cindy and Biscuit 4 here, along with previous volumes. There's an option there to buy all 4 books for 11 which is pretty sweet, also.